Resource Center What Are Co-Occurring Disorders? Co-occurring disorders (also referred to as a dual diagnosis) is generally defined as the presence of a mental health disorder and a substance use disorder in the same individual. However, a person with co-occurring disorders can actually refer to the presence of two or more disorders in the same person. The term comorbidity is also often used to describe a situation where an individual is diagnosed with more than one disorder at the same time. The notion of a co-occurring disorder implies that there are only two disorders present in the person, but it is certainly possible for an individual diagnosed with co-occurring disorders to have more than two. 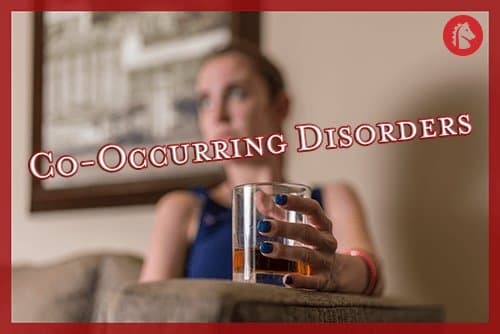 This article will focus on the notion of a co-occurring disorder being defined as the presence of a mental disorder and a substance use disorder in the same person. More than half of individuals diagnosed with a mental health disorder have a co-occurring substance use disorder. This prevalence rate far exceeds the prevalence for substance use disorders in individuals without other diagnosed mental health disorders. It appears that men are more likely than women to present with a co-occurring disorder diagnosis, and there are also certain types of mental health disorders that are more likely to present with a substance use disorder. Being diagnosed with any mental health disorder will automatically increase the risk that the individual will also develop some type of substance use disorder. This potential increased risk is so dramatic that anyone being screened for the presence of any mental health disorder or for any substance use disorder should be thoroughly assessed for co-occurring diagnoses. Certainly, the most common substance use disorders that co-occur with other mental health disorders are alcohol use disorder and tobacco use disorder. This is because alcohol and tobacco can be easily and legally obtained by adults, and they can also be relatively easily illegally obtained by minors. However, recent trends have indicated that prescription medications, such as narcotic pain medications and benzodiazepines, are becoming increasingly more prevalent forms of substance use disorders in dual diagnoses, and co-occurring alcohol uses disorder rates are declining. There is actually no way to definitively answer the question: “Did the substance abuse problem or the mental health disorder occur first?” In some cases, it appears that the substance abuse issue predated the mental illness; in other cases, it appears that the mental illness predated the substance use disorder. In many cases, it cannot be determined. First, abusing drugs can lead to a person experiencing symptoms that are very similar to the symptoms that occur with specific mental health disorders. Thus, drug abuse would predate the mental health disorder. Research indicating that heavy users of marijuana are at a significantly higher risk to later develop psychosis has been used to support this idea. Secondly, there is research that indicates that having a specific mental health disorder can lead to a substance use disorder. In lay circles and even in some clinical circles, this is the very popular notion of self-medication, where an individual who has symptoms of a mental health disorder begins to use drugs or alcohol to cope with the stress of those symptoms. Perhaps the best researched relationship between a mental illness and a specific substance use disorder is the relationship between schizophrenia and tobacco use disorder. It appears that nicotine may have a mild therapeutic effect on some of the symptoms of schizophrenia, and it is well known that individuals diagnosed with schizophrenia are very likely to have tobacco use disorders. However, it should also be noted that tobacco use disorder commonly co-occurs with other mental health disorders, such as anxiety disorders and mood disorders. A third perspective notes that substance use disorders and other mental health disorders share many similar risk factors, such as genetic associations and similar neurobiological associations, and they are often associated with specific environmental events, such as abuse. Thus, the development of either a mental health disorder or substance use disorder simply reflects a shared vulnerability to develop a co-occurring disorder. In any event, the fact that substance use disorders and other mental health disorders commonly co-occur has no bearing whatsoever on the notion that one caused the other to occur. This is a common misconception. Because mental health disorders can only be diagnosed when they have reached a certain level of severity, it is impossible to determine if some other co-occurring disorder caused an additional disorder. In addition, the rules by which causal relationships can be determined are quite strict and virtually impossible to apply in these clinical cases. Gender: Males are more likely to develop substance use disorders than females. Family history: Having a first-degree relative (e.g., parent or sibling) who has a substance use disorder will increase a person’s risk to develop a substance use disorder. Lack of social support: Having a lack of family support or perceiving that one does not have a supportive environment increases the risk of developing a substance use disorder. Peer associations: Peer pressure is often a significant factor in drug abuse, particularly in adolescents and young adults. 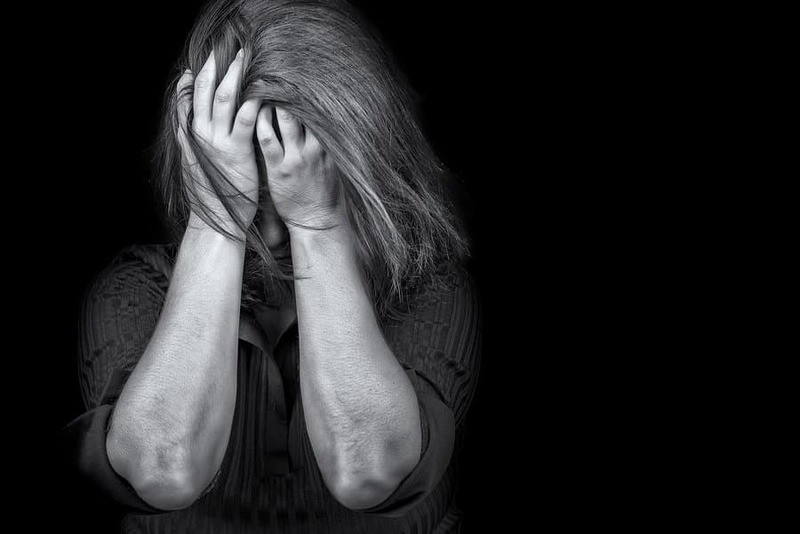 A history of trauma or abuse: Having a childhood history of emotional trauma or abuse of any type is a risk factor for the development of a substance use disorder. Having a diagnosis of a mental health disorder: Individuals diagnosed with any mental health disorder have a higher risk of developing a substance use disorder. Interestingly, a large percentage of individuals who have co-occurring disorders are not thoroughly assessed and not diagnosed properly. Often, many individuals are only diagnosed with one of their co-occurring disorders. This results in a number of difficulties with treatment, because treatment providers need to address the whole person when treating mental health disorders. If an individual has a mental health disorder such as depression and a substance use disorder such as alcohol use disorder, only treating the depression will not significantly affect the alcohol use disorder, and only treating the alcohol use disorder will not significantly affect the depression. Therefore, individuals who have co-occurring diagnoses should have both issues treated concurrently. The suggested approach to treating co-occurring diagnoses is known as an integrated approach. The first stage is to develop a relationship between the client and the treatment team. It is crucial that the client fully trusts the team. The second stage is to motivate the client to become as involved in treatment as possible. The third stage is to teach skills that the client lacks. These new skills will help the client better manage both disorders. As treatment continues, it is important to help the client develop long-term strategies to maintain improvements, reach future goals, and avoid relapse. A multidisciplinary team that will address the individual’s issues from a number of different angles: Typically, this will include a psychiatrist and/or addiction medicine physician, a psychologist, social worker, case managers, and support from family and other individuals with similar diagnoses. A comprehensive treatment program that will address the individual’s needs: This can include medical detox, residential treatment, outpatient treatment, support group treatment, etc. Integrated treatment is designed to be as comprehensive and supportive as possible. The treatment team will set realistic goals for the program and adjust the goals accordingly as the client progresses in care.